Health insurance we believe is the key to your being at peace with regards to unforeseen healthcare costs. Health Insurance protects your savings from being eroded in case you were to get hospitalised for treatment, especially those which can be high cost ones. In this era of rapid advancement in medical technology and new drug discoveries, the cost of healthcare is fast becoming out of reach for many. Absence of a good health plan and the high anticipated out of pocket expenditure, has seen to be one of the reasons why many people either do not go in for treatment or proper treatment. 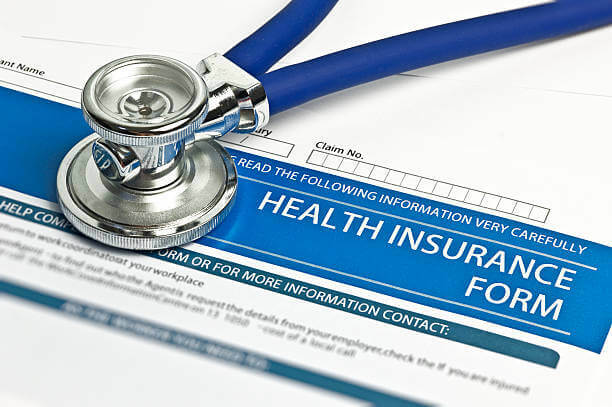 Health Insurance is the tool to allow you access and coverage for the best possible treatment for you and your family. With each year passing, the health insurance market evolves, new products are being introduced. Each innovation in this field results in added benefits being offered and marketed aggressively. Price & product competitiveness has resulted in variations in the legal terms & conditions accompanying of the benefits being offered. What a customer appears to be buying versus what actually is covered, can at times, be largely different. While some customers may not at all know what the insurance plan covers, some others may be misled into thinking what the coverages are. To simplify this process, we decided to launch ranking of health insurance plans currently available. What is your family composition and age band? This determines the morbidity profile typically associated with a certain age group. Children have different set of reasons for getting hospitalised as compared to elderly. Similarly a young couple who have recently got married may have different needs than an Established Family. One needs to ensure that typical ailments associated with certain age categories are well covered under the policy so that in case there was a hospitalization, least amount of out-of-pocket expense accrues to the policyholder. Where you stay largely determines what is the cost of healthcare in general. A person/family living in a Metro city may need higher sum insured as well as a policy which allows for higher coverage of room rent, certain typical surgical ailments etc. What is your premium paying capacity and priorities in planning for future goals? This particularly since the cost of healthcare is rising and the choice of health cover needs to take into account which policy you choose and for how much sum insured. What are the terms of the policy and their acceptable interpretations? Many terms can be confusing if not downright incomprehensible by a customer. For example, those health insurance covers which pay for rateable proportion of a claim in case you exceed the room rent eligibility, can result in extraordinarily high out of pocket payment by the policyholder if there be a claim. There are about 50 broad terms in a policy that may have an impact on what you will be paid or if you will be paid, each having its own subset of what, when and how. What is the rate at which their premiums increase & what is the maximum that you will be charged as per current premiums? Do note that this is not set in stone. Every 5 years or so, an insurer has an option to readjust their premium charts overall as well as policy term albeit only when they can convince the regulator of the changes and to what extent. Beyond the above, there are a bunch of other parameters that impact which could be the best health insurance cover including the claims settlement record of the insurer, the financial strength of the insurer to ensure speedy settlement of claims, the degree of prudency in their underwriting (the mechanism by which they access the risk and decide on extending the cover and at what price) and hence the nature of the risk pool that they have created/they are creating by extending insurance contracts, historical nature of the risk pool, vintage of the insurer any many more.